The classic song Maria dancing on your tongue transform lyrics to “I just met a site called Maria Bingo”! And what a site to behold with all the thrills that will tug at your bingo heart strings. The multi-player online gaming speaks for itself with a high volume of traffic creating a massive community of social interaction. Red accents are the color of choice representing a powerful presence of proud achievement. The silhouette of Maria is the greeting mascot with a soft profile and feminine warmth. Web design took on a new look and greater appeal in 2012. The landing page is nicely laid out for a user friendly navigating experience for UK and international players alike. Maria Bingo was established in 2006 and has been through several transitions over the years before settling down to Virtue Fusion software to power a dynamic platform of products. 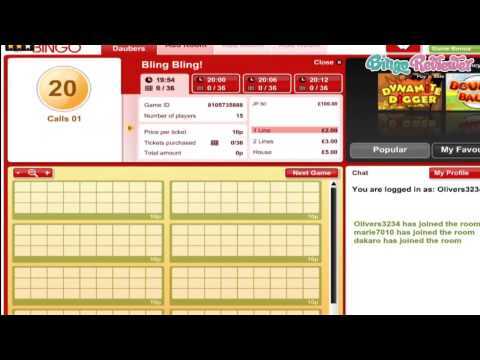 The software specializes in online Bingo variants and is highly recommendable in the industry. License to operate has been issued under Malta’s Licensing and Gaming Authority. Maria Bingo adheres to the regulations and guidelines imposed by the Gaming Commission. Security meets the required standards protecting players’ sensitive information including transactions. Virtue Fusion delivers a wide range of products offering expansive gaming choices. There are a minimum of 5 rooms open at any given time for 90 ball and 75 ball bingo. Customize your game play with sounds, colors and dauber shapes. Chat Moderators are warm and friendly and are helpful in any questions you may have. Chat Games are available daily offering prizes to the winners. Side Games are conveniently located inside each room giving more ways to play and win. Video Slots and Traditional Slots feature fun themes and extra ways to win with Wilds, Scatters, Free Spins and Multipliers. Scratch Cards offer vast collection of options with big cash prizes awarded on a winning card. The contemplation to join ends when discovering a Free No deposit Bonus is waiting for you after registering an account. Take advantage of this opportunity and test the site out at zero risk. Your first deposit is enhanced with a lucrative Welcome Deposit Bonus. Reload Bonuses are regularly offered on future deposits. Free Bingo is available on daily basis offering cash prizes to winners. Refer a Friend and get handsomely rewarded after they join make their first deposit completely all the play-through requirements. Reaching a global market of players there are 22 languages available. The site has been through several changes through the years and we believe have made a wise choice in design, software and Jackpot exclusives. We rate Maria Bingo with 3 Pink Hearts. 75, 90 ball bingo rooms!